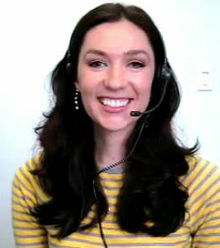 Amanda Carpenter (born November 20, 1982[a]) is an American author, political advisor, and speechwriter. She is a former senior staffer to Senators Jim DeMint and Ted Cruz. She was a columnist for The Washington Times from 2009 to 2010, has an active Twitter following, and regularly appears as a political contributor on CNN. Carpenter worked as a congressional correspondent for Human Events from 2005 to 2007 before going to Townhall.com to become its national political reporter. In March 2009, Carpenter took a position with The Washington Times, where she wrote a daily column called the Hot Button that covered political and cultural issues as well other news articles. In early 2010, Carpenter left The Washington Times and joined Senator Jim DeMint's staff as senior communications advisor and speechwriter. In January 2013, Carpenter became senior communications advisor and speechwriter for Senator Ted Cruz. In July 2015, Carpenter returned to her journalism career. She is a contributor for CNN. She is known for critiquing President Trump, in particular his treatment of women. Carpenter has said that she agrees with some of his policy decisions, but that the scandals surrounding his presidency make it "very difficult" to defend him. In her 2018 book Gaslighting America: Why We Love It When Trump Lies to Us, she critiques Trump's propensity for lying. Carpenter is also known as a blogger, author, and commentator. She has made numerous media appearances, including segments on the BBC; Fox News's The O'Reilly Factor, Red Eye w/ Greg Gutfeld, Hannity & Colmes, and The Big Story; MSNBC's Tucker; PBS's To the Contrary and CNN's Larry King Live and Reliable Sources. Her book The Vast Right-Wing Conspiracy's Dossier on Hillary Rodham Clinton was published in 2006. She later wrote about the 2008 presidential election for Glamour magazine's blog "Glamocracy." As of June 2015, Carpenter had more than 56,000 followers on Twitter—more than any congressional staffer. The Vast Right-Wing Conspiracy's Dossier on Hillary Rodham Clinton. Regnery Publishing. 2006. ISBN 978-1-59698-014-3. Gaslighting America: Why We Love It When Trump Lies to Us. Broadside Books. 2018. ISBN 978-0-06274-800-3. ^ a b Carpenter's birthday is November 20. She was 31 years old on February 26, 2014. ^ a b c d Sanchez, Humberto (February 26, 2014). "Amanda Carpenter Is Ted Cruz's Twitter Torrent". Roll Call. Archived from the original on March 26, 2016. Retrieved March 26, 2016. ^ Carpenter, Amanda. "Amanda Carpenter". LinkedIn. Retrieved March 25, 2016. ^ a b Weigel, David (January 25, 2010). "DeMint Hires Amanda Carpenter". The Washington Independent. Archived from the original on July 21, 2013. ^ "Amanda Carpenter". Townhall. Retrieved April 10, 2010. ^ Dornic, Matt (February 5, 2009). "Townhall's Amanda Carpenter to Washington Times". Mediabistro.com. Archived from the original on 2009-10-12. Retrieved April 10, 2010. ^ "Amanda Carpenter". WashingtonTimes.com. Archived from the original on April 14, 2010. Retrieved April 10, 2010. ^ @amandacarpenter (January 25, 2010). "And the big news is...I'm leaving TWT to join Sen. DeMint's staff as senior communications advisor and speechwriter" (Tweet) – via Twitter. ^ @amandacarpenter (January 22, 2013). "Thrilled to announce I'm starting my new job today as Senator Cruz's senior communications advisor and speechwriter!" (Tweet) – via Twitter. ^ a b Lesniewski, Niels (June 9, 2015). "Amanda Carpenter Leaving Ted Cruz World". Roll Call. Archived from the original on March 26, 2016. Retrieved March 25, 2016. ^ a b c Evans, Garrett (2018-05-17). "For cable commentators, the 2016 GOP primary never ended". TheHill. Retrieved 2018-05-23. ^ Lewis, Matt (2018-05-07). "The Damage of Trump's Low-Bar Presidency Is Worse Than You Think". The Daily Beast. Retrieved 2018-05-23. ^ Bilton, Nick. "The Conservative Case Against Donald Trump". The Hive. Retrieved 2018-05-23. ^ "Amanda Carpenter, "Gaslighting America: Why We Love It When Trump Lies to Us" (Broadside, 2018)". newbooksnetwork.com. Retrieved 2018-05-23. ^ a b c Carpenter, Amanda (December 10, 2007). "Glamocracy". Glamocracy (blog). Glamour. Retrieved April 10, 2010. ^ a b Maltz, Phoebe (February 2012). "What's Your Story?—Amanda Carpenter". AmericasFuture.org. Archived from the original on March 26, 2016. Retrieved March 25, 2016. ^ @amandacarpenter (November 20, 2009). "Yay, it's my birthday. Another year wiser!" (Tweet). Archived from the original on March 31, 2016 – via Twitter.